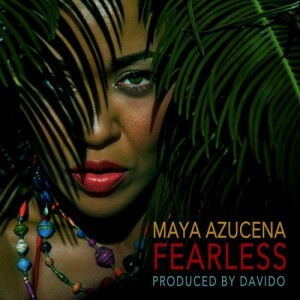 Passionate activist Maya Azucena is a woman inspired by the warrioresque-spirits of other women. Those that she met on her recent trip to Uganda were the inspirations behind the sultrily empowering new track entitled ‘Fearless’. Produced by Davido in Paris and in collaboration with BeadforLife (A non-for-profit organization, creating handmade jewelry ‘Eradicating poverty one bead at a time’), as a recently named Ambassador, Maya vehemently captures the resilient fearlessness demonstrated by the ‘warriors spirit’ of those very women fighting everyday. Powerful vocals compliment the sincerity in lyric whilst Davido sticks to a simple drum layout with a funky ride-along bassline.